Today another winery I visited on the Mosel in Germany. 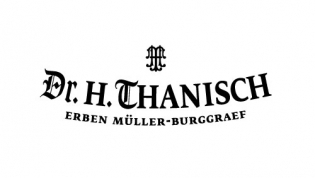 RIESsearchING at Docter H. Thanisch! 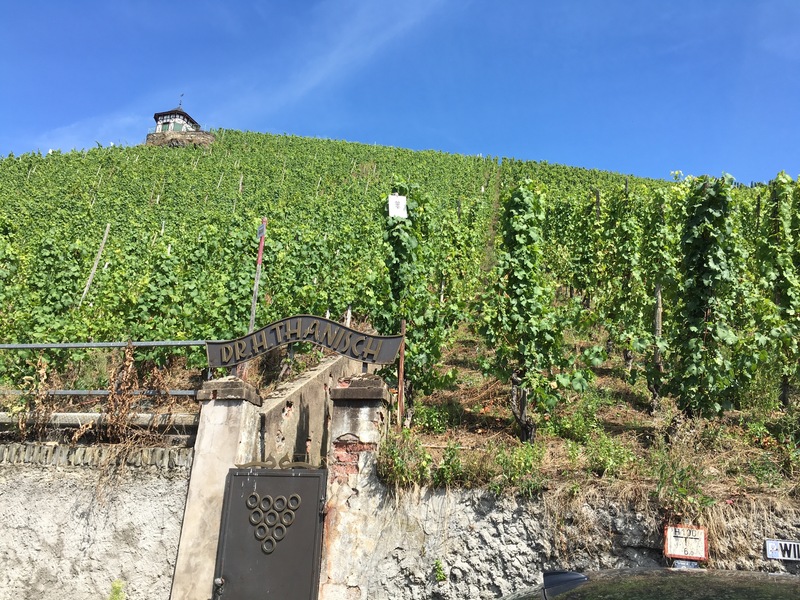 We visited the Docter Cellar behind the picturesque village of Bernkastel-Keus. First, we saw the vineyards. Erik Rundquist let us discover the Doctor vineyard which also has a Roman Presshouse up the hill and is restored for touristic visits. Besides, they do everything organic in the vineyards sins a year. This year they stopped spraying by helicopter and perform almost everything by hand. There is no other option cause the hill is so steep! 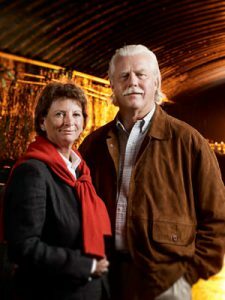 We were greeted at the cellar door by his wife Barbara Rundquist-Müller. The cellar door tells the story of the winery. An elected Prins, Kurfürst was very ill and no one could heal him. 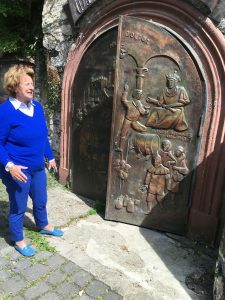 Then he went to his castle on the Mosel. A winemaker gave him a barrel of his finest wine and said to the prince this was the best medicine in the world. The day after he drunk the wine the prince was better and called the winemaker to his caste and called the winemaker his Docter and gave him a vineyard that he called the Doctor vineyard. The only real doctor! Since that day that vineyard was called the Docter and till today there is made wine from these vines at the doctor vineyard and cellar. 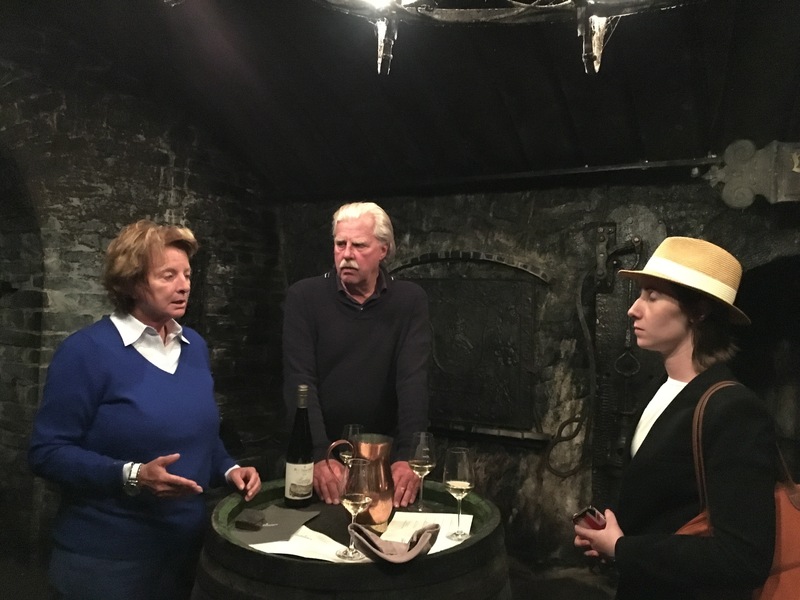 It’s a very old cellar, 350 years old to be precise. They still employ it for fermenting and maturing the wines and storing of their treasury (meaning very old wines of the estate) and to hold tastings. It’s all year round between 8 and 10°C which they say it’s the ideal temperature. At that time when I was there 3 weeks ago, it was really sunny and warm, but the week before it had been raining for so long! The ground was still quite wet. And the cellar was carved out the slate soil and rock, and then water was constantly pouring out of the soil in the cellar through the door onto the street. But that totally adds to the charm of everything! Because it’s an old cellar, it was rather dark inside. But again that adds to the story! 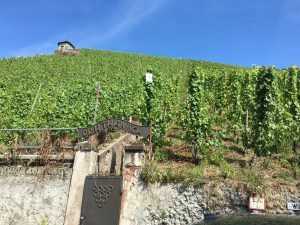 They have 12ha of vineyards spread over the Bernkastler Docter, Bernkasteler Badstube, Bernkasteler Graben, Bernkasteler Lay, Brauneberger Juffer-Sonnenuhr, Graacher Himmelreich and Wehlener Sonnenuhr. The wines are made organically no addition of sulfur or anything else for that matters, the grapes are crushed and macerate for 2 to 4 hours before being gently pressed. Also, no yeast strains are added after 350 years the yeast has settled in the cellar and does his work well! Also the filtration is really light and gentle. 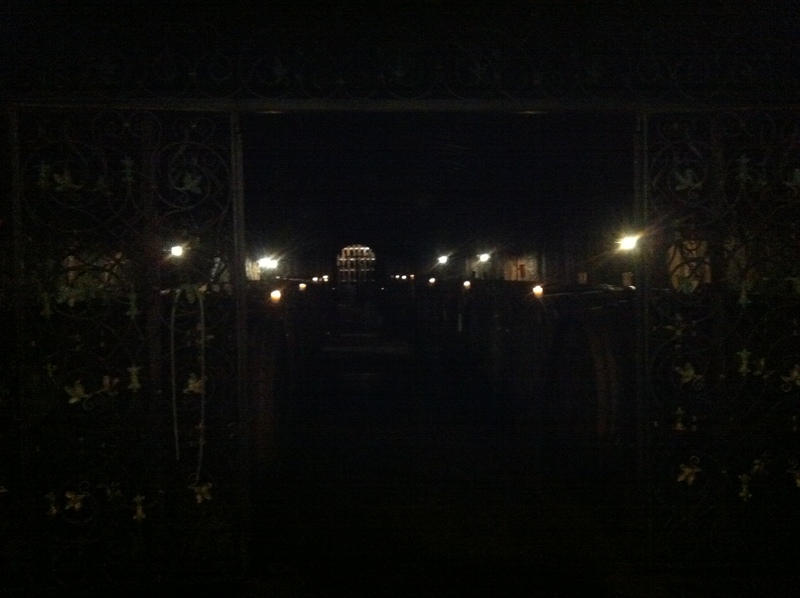 And everything happens in the typical 1000 liter Mosel barrels. We tasted 6 of their wines. They are made in the real Mosel style. Deep in color as well, with a nice residual sugar content and a sky high acidity to counter the sweetness. As well, almost all wines were very concentrated! They also have something unique, wild but very pleasant to it! Most have a medium to long finish. It’s not for everyone I believe because of the little wild side, but it is still typical Riesling! A nice minerality, and ripe white fruit and peaches. I like the wines very much and I think they are best drunk with matching foods. Seafood, fat fish, foigras, spicy foods and the very concentrated ones even with meat! So this was it for the RIESsearchING at Dr. H. Thanisch. Enjoy reading and enjoy your Riesling!